Officially A Yuppie: EXCLUSIVE! Night Terrors of 1927 INTV! Hailing from Los Angeles, how has the city influenced your sound and style? I'm originally from NY and recently relocated to LA, so I think the stress alone in the move had a huge impact on the music we created for NTO - but, of course, East coast is in my blood. Being a duo, you tend to get pigeonholed with bands like The White Stripes, The Black Keys, Chromeo, Death From Above 1979, Royal Blood, and so many more. How do you stand out from pack? We have yet to be compared to any of the bands above though I enjoy most of them. We are definitely coming from a different style musically - anthemic pop soaked in melancholy. I actually may have come up with that answer accidentally in the previous question: "anthemic-altish synth rock pop soaked in melancholy”. After a handful of EP’s when can we expect your debut? 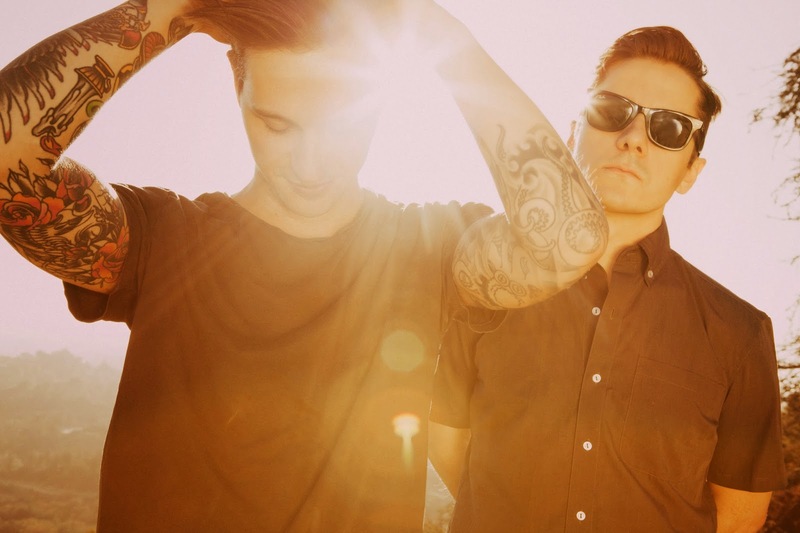 Your latest EP features Tegan and Sara, how did that duet come about? We’ve been fans of their music for years, became friends through mutual friends. More recently, we were recording the song and wanted a female vocal to complete it, T&S were literally the first voices that came to mind - it just seemed like such a perfect fit. The timing was amazing. Modern technology and some hard work from the ladies made it all work out. The name of the band is very interesting, who came up with it and what does it mean for two guys clearly not born in 1927? The origin of the band name stemmed from our recent conversations regarding having anxiety about nightmares. ‘Anxiety Nightmares' would be the worst band name ever. The year 1927 just looked right. Being able to capture an audience with the internet at the speed of light. Our other bands took many years of touring before anyone was listening. You’re heading out on the road with Capital Cities soon, what are you looking forward to most for this tour? Looking forward to meeting a million new faces. Hopefully they will be smiling after we play. Or, maybe crying if they are touched. Following the tour, what is next for Night Terrors? What is the worst night terror you have ever had? Last night I had one in which a girl picked me up in a convertible. She was driving over a 100 mph. I had my dog in my hands and I lost grip, he flew from my fingers at an intense sharp turn -- I love my dog.